The android market is growing at an incomparable rate. To match this growth, google recently rolled out another version of android and its in operation already. I am talking about android 5.0 or 5.1 lollipop. Most new phones are now pre-installed with this version of android but to us having a lower version such as the android 4.4 kitkat can only contemplate upgrading from the android 4.4 kitkat to android 5.0 lollipop. We do not have to worry any more, this procedure will enable us to keep up with the trend and upgrade from kitkat to lollipop. By the end of this, we will know how to upgrade Infinix hot X507, x551 to lollipop. 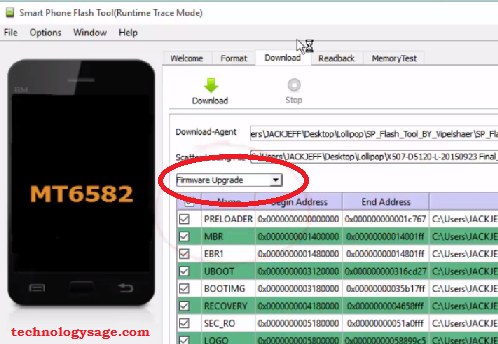 This method can be used to Upgrade Infinix hot X507, Infinix Zero x506 and Infinix Note x551 from android 4.4 kitkat to android 5.0 lollipop. In this specific write-up however, note that the exact device being upgraded to android 5.0 lollipop is the Infinix hot X507. The procedure is the same for the other Infinix versions named above with a slight difference that I will mention herein.Before getting started, let me mention the aspect of a rooted device. I did a tutorial on How to root infinix phones, if you followed this procedure and you have your phone rooted, then you have to unroot it for the upgrade to be successful. Unroot it using the same procedure (not exactly the same :-)). One more thing, make sure you back up all your data on the phone if you intent not to lose the data. because you will definitely lose all these data. Read through the whole process first, comprehend and then get started. 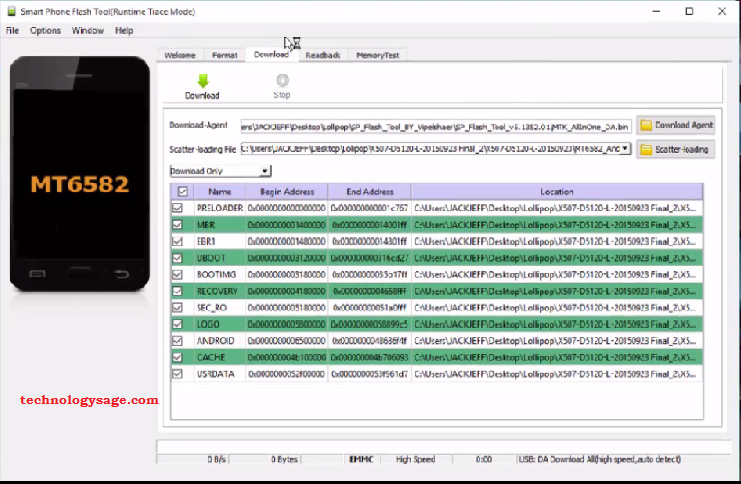 The Stock ROM file of your SPECIFIC Infinix phone. DO NOT USE A DIFFERENT ONE because you are bound to brick your phone. Download the one for your phone; Infinix hot X507 Stock ROM and Infinix Hot Note X551stock ROM. Those two are available for now. Credit for them goes to TechsNG and Infinixmobility forum. Unzip or extract the VCOM drivers zip folder downloaded above. Install the VCOM drivers on your computer. Unzip the Stock rom to your computer and mark the location of the unzipped folder. Unzip the SP Flash tool zip folder. Open the unzipped folder and locate the flash_tool (.exe), run it as an administrator. Click on Scatter Loading, in the SP flash tool window, navigate to the unzipped folder (in step 2) of the stock ROM you downloaded and select the scatter file (MT6592 Android_Scatter.txt). The value (ie MT****) could be different depending on the stock ROM. After selecting the scatter file, wait for it to completely load up on the SP flash tool. Check under the Word ‘Scatter loading file’ on the left, near the black pictured phone, you will see a drop down menu with the default selection as ‘Download only,’ change it to ‘Firmware Upgrade’ as shown in the photo below. Go back to SP flash too and hit the Green Download button. Note that nothing happens after clicking on the download button, Now connect your phone to the computer using the USB cable and the download will begin. Shown by a Yellow progress bar at the bottom of the SP flash tool window. At this stage do not try to interrupt the process by either turning your computer off, or unplugging your phone from the computer. This will definitely brick your phone. 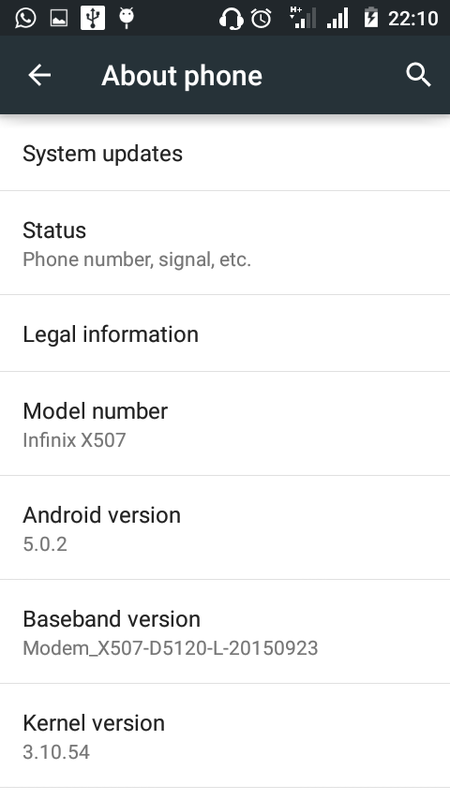 At this point the software will upgrade Infinix hot X507, x551 to lollipop. Be patient until the process is done to 100% and you will see a green check mark showing all is done. Questions are welcomed in the comment section below.